Have you ever noticed that when you go to different places in the Tableau community, certain people continue to pop up, always answering questions, posting interesting vizzes, or sharing helpful content? Well, we’ve noticed them. We’ve seen them in the Tableau community forums, helping people find solutions to complex questions. We’ve seen them on social media, sharing unique and relevant content. We’ve seen them hosting user groups, inspiring people throughout their community. And we’ve seen them on Tableau Public, creating vizzes on every subject imaginable. They give us insights and new perspectives on a variety of topics from peaches vs. nectarines to Bruce Springsteen, to traffic accidents in Argentina. 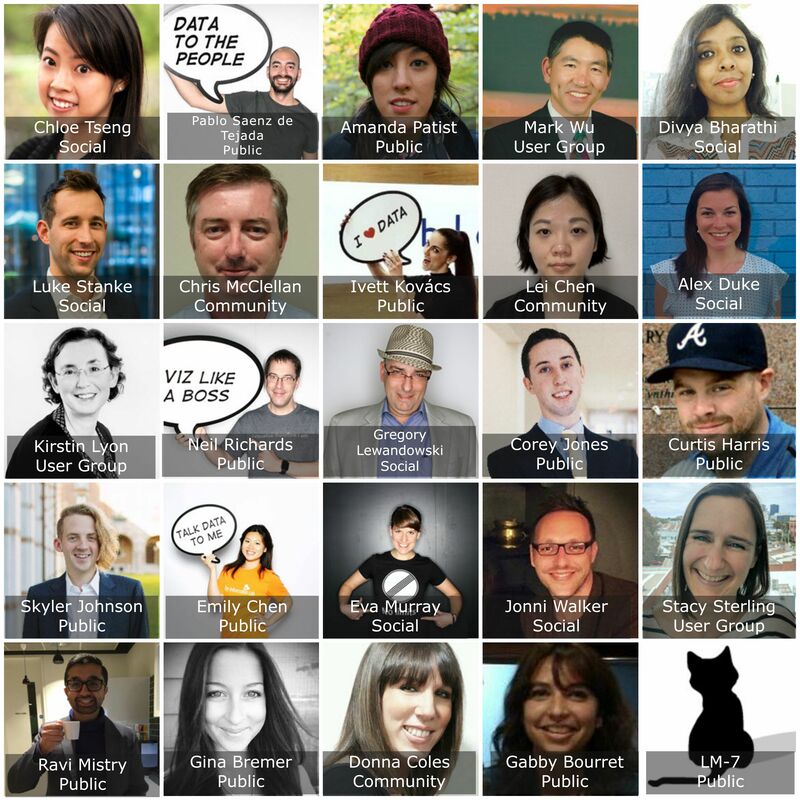 The Tableau Ambassadors make the Tableau community what it is. They demonstrate the leadership, respect, and collaborative spirit that we value in our community members. On behalf of the rest of the community, thank you to each of you. And with that, I’d like to welcome the first group of 2017 Tableau Ambassadors! To learn more about the Tableau Ambassador program and to see all of our Ambassadors, visit our Tableau Ambassadors page. I want to join this event. Thanks for the pass. there is no ambassadors in Australia,any chance we will have Australia community set up?